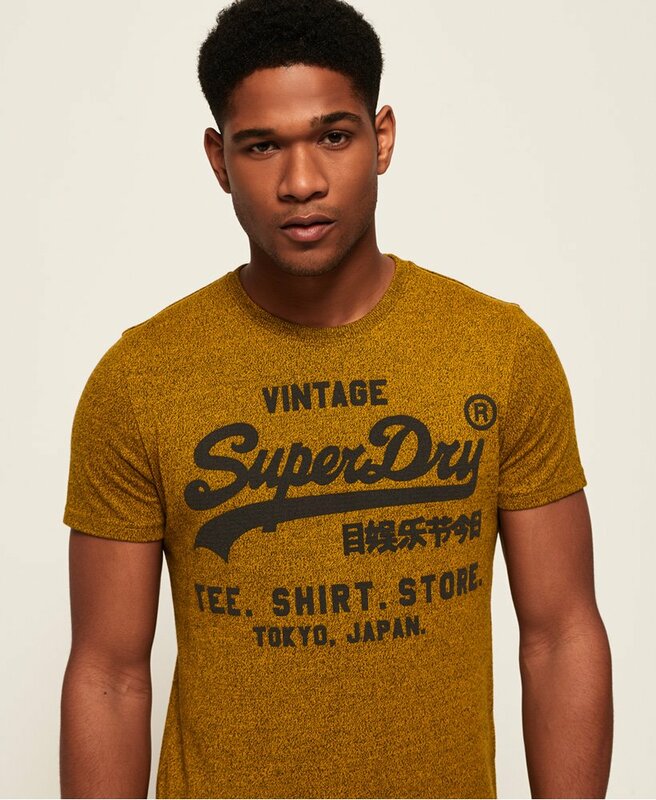 Superdry men's Shirt Shop t-shirt. A classic crew neck t-shirt featuring a textured Vintage Superdry print across the chest. Wear with jeans for a casual everyday look.